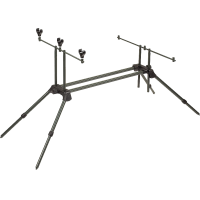 Rod pod in reinforced aluminum material: the rod pod is extendable in length, the rod holders are adjustable in height and the legs of the rod pod are adjustable in height. 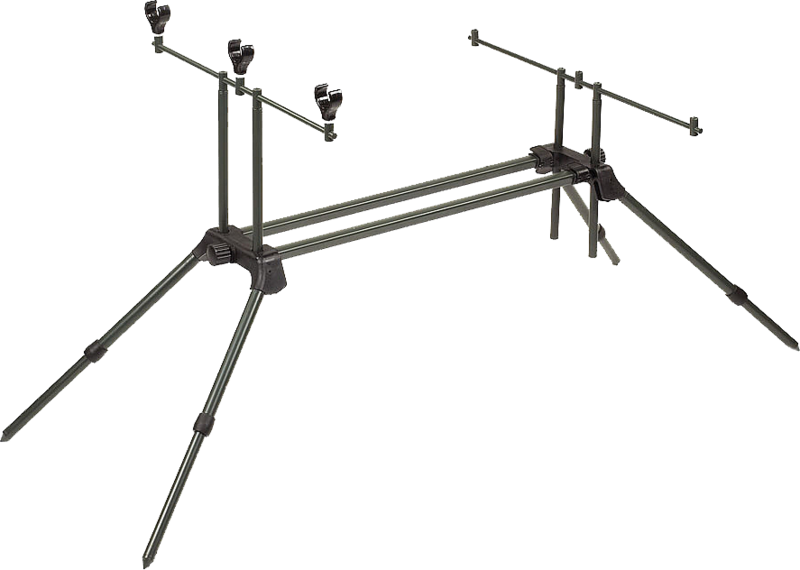 Supplied with buzzer bars for 3 rods and brackets to put in the rods. The rod pod is supplied in a handy carrying case for easy transport.